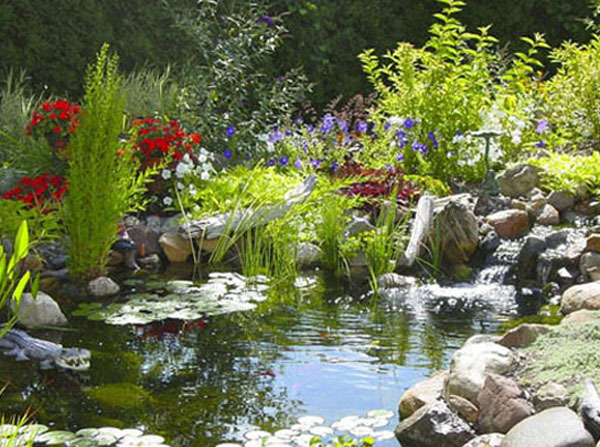 There is nothing nicer than having a little bit of nature of your own by way of a backyard garden pond. Although here nature had a little help from the pond builder it can still look like it has always been there. 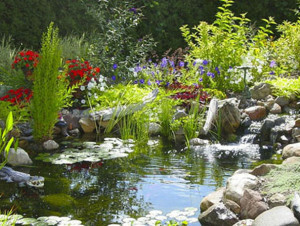 Planting a lot of terrestrial plants around a pond will bring the landscape together. There are many Aquatic pond plants that have “wet feet” so can migrate from the pond area to transition to the soil around the pond. But of course it is not all about the plants in the pond but also showing off the beautiful nature rock. It is good to use rocks you find in the area you live in to help to keep natural color and texture consistent. Like in this pond, leaving small open areas on the pond surface will give you natural viewing and feeding areas for your fish.